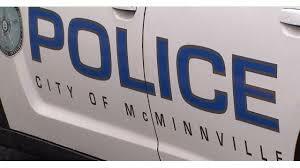 McMinnville Police are restating their policy of always sending an officer if a phone caller is concerned about their safety. This update is a followup from an earlier story in which a McMinnville woman said she called police in August of last year, saying a man with a clenched fist was approaching her. The woman said the dispatcher stated an officer could not be sent unless the man had a weapon. Rhonda Jasko of the McMinnville Police Department said in this particular case the woman’s husband called for help and an officer was sent. Police did contact the suspected assailant and resolved the case to their satisfaction. No one was harmed in the incident. The officer was sent after the woman and her child had left the scene, so she may not have seen the officer arrive. Jasko says she wants residents to know an officer will always be sent if the caller says the are concerned for their safety, irregardless if a weapon is involved.